Pale green algae coated the shoreline and the surface of Clay County’s Doctors Lake over the weekend. 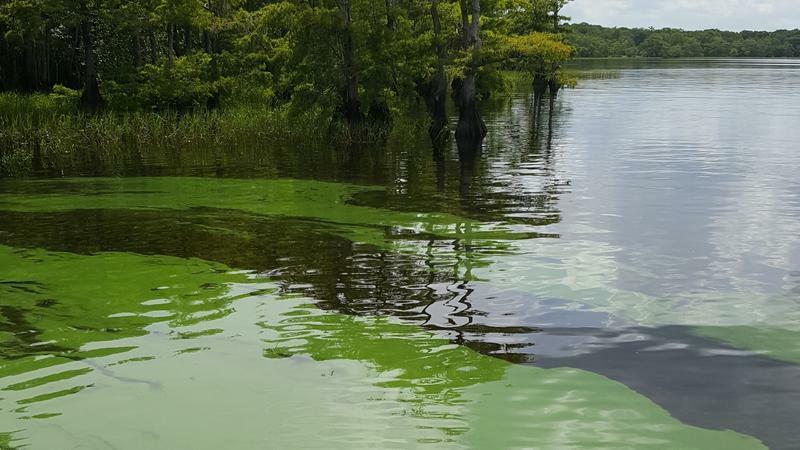 Toxins from algae found last week near a Clay County Boy Scout camp were more than 10 times above draft safety guidelines prepared by the U.S. Environmental Protection Agency. Our Florida Times-Union news partner reports the reading from the western side of Doctors Lake, posted Monday on a state website, was the first time this summer the threshold was crossed in Northeast Florida. 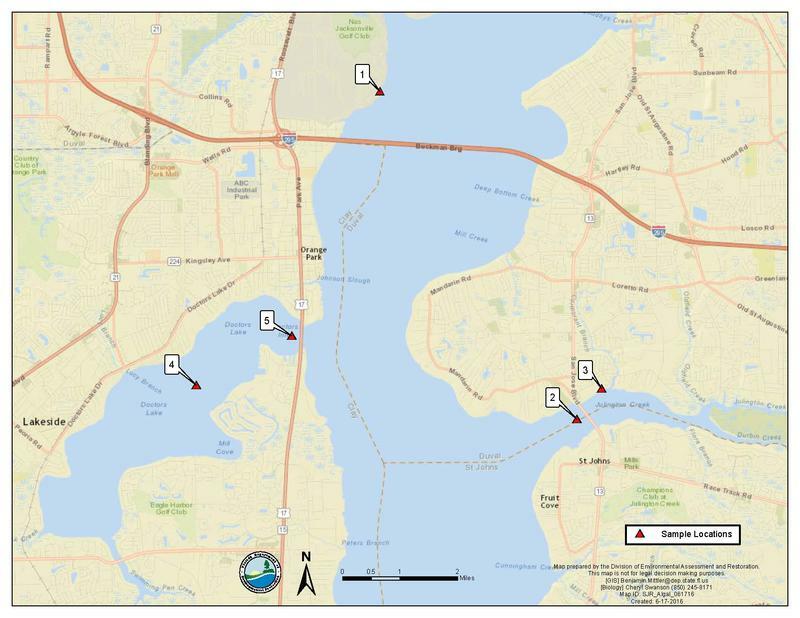 Two other samples taken the same day at a boat ramp and a pier on the lake’s eastern shore both found only modest amounts of toxins. 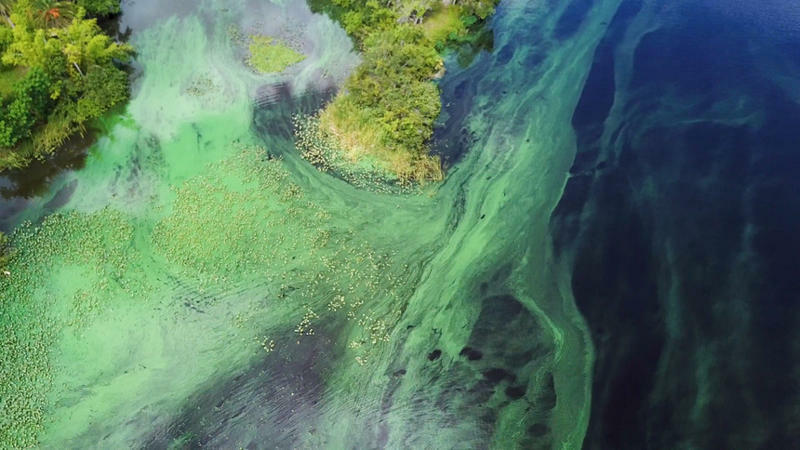 The mixed results reflect the continuing potential for seasonal algae blooms around the St. Johns River to pose health hazards — and the uncertainty about which ones are health hazards on a given day. 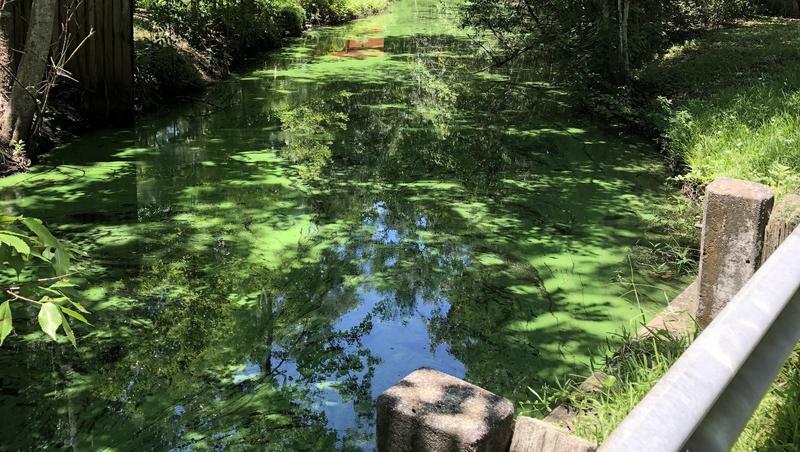 “Those blooms can be toxic one day and other days they’re not,” said Jimmy Orth, executive director for the St. Johns Riverkeeper organization. Algae release toxins during changes in their life cycle, making it hard to know the risk in advance. The toxin levels were reported by Florida’s Department of Environmental Protection. An agency spokeswoman, Dee Ann Miller, said the agency phoned state health officials to make them aware of the results in addition to the normal practice of uploading the results to a Florida Department of Health database. She noted that the health department regularly advises people to avoid swimming in or contacting algae and said it’s that department’s choice when to issue additional advisories. A longer version of this story is on jacksonville.com. A blue-green algae bloom in Doctors Lake is posing a serious health risk to swimmers. 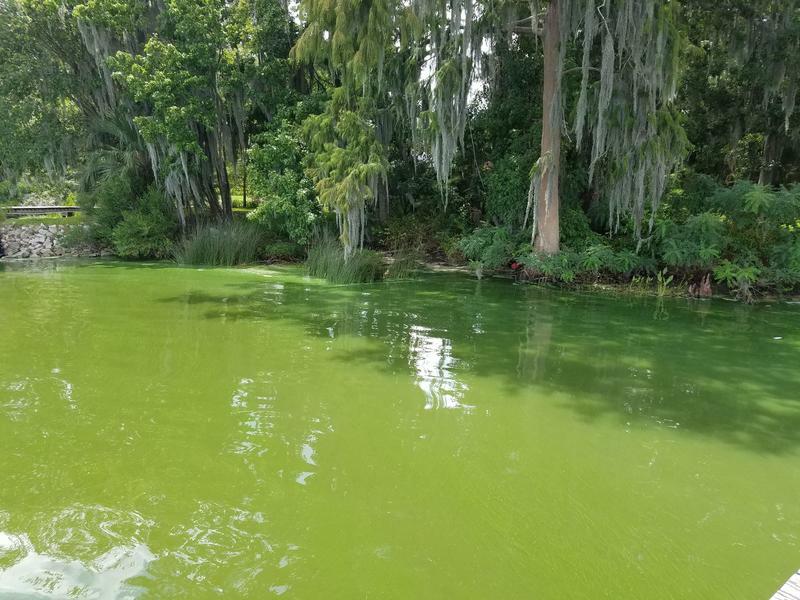 Florida environmental officials want to hear from boaters who spot potentially dangerous algae on and around the St. Johns River.